UnEggspected Easter Eggs — Ends in Style. I apologize for the pun but I just couldn't help myself! It was an eggcellent opportunity to make a corny yolk. OK...I think I have that out of my system now. I always loved decorating Easter eggs as a little girl, but now that I'm all grown up, I wanted to come up with a few new ways to make Easter eggs that are a little more modern and suitable for the centerpiece at a posh brunch. Christina and I gathered some supplies and made some really unique Easter eggs you can easily make yourself for your weekend gathering. The kids can even help with this fun DIY project, too! We're going to use some unconventional materials to achieve a truly unique look. Follow these four easy steps to create beautiful and unique foliage eggs! You can use leaves you find in your yard, flowers, or even herbs like cilantro or parsley! Place the eggs where they can dry until the mod podge is clear and shiny. Next up, mossy Easter eggs! 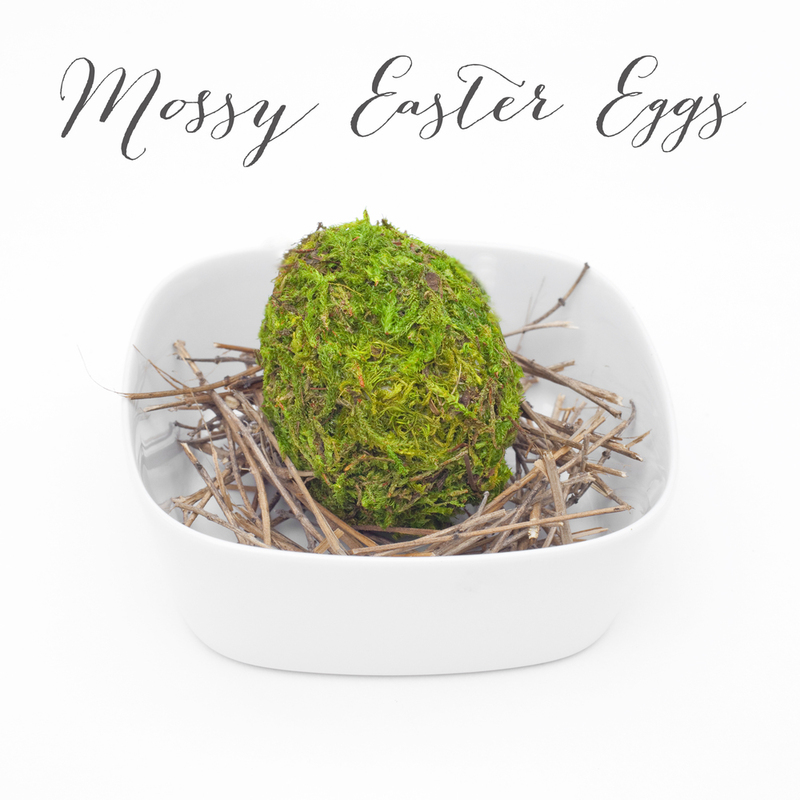 If you've got little helpers, they may need a little extra supervision with the mossy eggs as they use spray glue which is not suitable for young children to use. I got my supplies at Michael's. Look for dried moss that comes in many varieties of colors and textures. Let us know what you think of these fun DIY and unconventional Easter eggs!